UBC Thunderbirds Sport Clubs (UBC TSC) within the Department of Athletics and Recreation, is a competitive club sport program that features eleven sports, and over 300 student athletes. Launched in 2015, these student-led sport teams compete in non-USports/NAIA level competition across Canada and the United States, some even going as far as Europe. As a competitive program, all teams participate in club or intercollegiate leagues at a local, provincial, national, or international level. Following a "pay to play" type model, each sport club determines it's dues based on expenses related to: competition registration fees, facility or venue rentals, travel related costs, apparel, equipment, and coaches. However, Clubs receive some financial support from the University for coaching, National Championships, and competitive enhancement. As UBC Thunderbirds Sport Clubs, these groups have been given the designation as official representatives of the school in their respective sports. 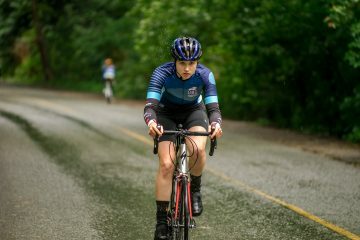 The UBC Varsity teams, as part of Athletics and Recreation, underwent a sport review process to tier the 27 varsity teams into: Tier 1, Tier 2, and Competitive Sport Clubs in order to allocate funding on a tiered system and better support the teams. How do Sport Clubs Compare to Varsity teams? Although Sport Clubs and Varsity Student-Athletes may have similar health and competitive sport goals, UBC Thunderbirds Sport Clubs are completely student driven and compete in non-USport and non-NAIA competition. Competitive Sport Clubs may have professional coaches and currently receive administrative and some financial support from UBC Athletics and Recreation, but each club in the above list is run by student leaders. These UBC students are tasked with administrative, financial, and social responsibilities for their respective teams which include: scheduling games and tournaments, handling practices and facility rentals, fundraising, organizing competition travel, and hiring coaches - just to name a few. Sport Club executives and athletes are presented with an excellent opportunity to build leadership, teamwork, and professional skills that can launch their careers after their time at UBC. How do Sport Clubs Compare to AMS Clubs? While Sport Clubs and AMS Clubs focus on student leadership and development, UBC Thunderbirds Sport Clubs strives for competitive excellence. 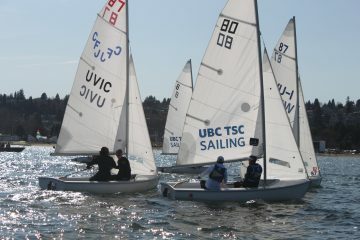 With weekly practices, Sport Clubs travel locally, across Canada, and internationally to compete against other universities, representing UBC at a highly competitive level. Sport Club athletes are challenged with athletic and self-development, enriching their experiences at the University. How do Sport Clubs Compare to Intramurals? With student leadership driving the Sport Clubs and Intramurals programs, UBC Thunderbirds Sport Clubs allows students to compete at an inter-collegiate level. Sport Clubs encourages athletes to be competitive and successful within their athletic domains, while Intramurals allows athletes to try out new sports at the recreational level. 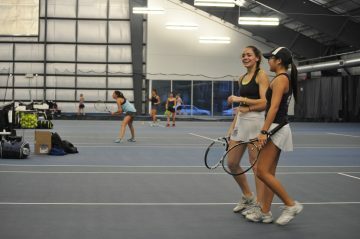 For athletes looking for a balance between competition and recreation, Sport Clubs provides the perfect in-between. My sport is not listed can I still get involved? While the above teams will be recruiting athletes, UBC Athletics and Recreation will be recruiting clubs. Sport Clubs across campus will be able to apply to be Thunderbirds Sport Clubs for the 2020/21 year. If you run a highly competitive team on campus and would like to take this next step, please email your inquires to sport.clubs@ubc.ca. If you would like more information on getting involved with UBC Thunderbirds Sport Clubs, either on an existing team or for a new sport, please contact the team directly through their team email or email sport.clubs@ubc.ca for general inquiries. 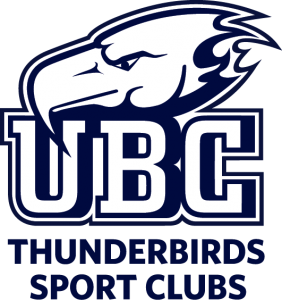 The application process for the UBC Thunderbirds Sport Clubs is now open. For more information please refer to the TSC Applications - 2019 Information Package. If there are any questions regarding the preparation for a successful application for the 2020/21 year, please contact the Sport Clubs office at sport.clubs@ubc.ca.